Located off Long Island’s South Shore, Lido Beach, NY is a popular destination for tourists and residents that treasure all the recreational activities and relaxation that life in a beach town has to offer. From the Lido Golf Club to Point Lookout Town Park, there is lots to love about life in Lido Beach. While Lido Beach is a wonderful place to live, owning property does have its risks. That is getting a why Flood Insurance Lido Beach Policy is such an important investment, whether your home is located off Lido Boulevard or along Lagoon Drive. Flooding is the United States’ number one natural disaster when it comes to lives lost and property damaged. What are you doing to protect yourself? That’s where Denis A. Miller Insurance Agency comes in. Locally owned and operated, we are the largest provider of flood insurance in New York State, with a special focus on serving homeowners and business in Lido Beach. Not only do we have the expertise and resources to meet all of your flood insurance requirements, but our local presence and outstanding business ethics, mean you can rely on us for first-rate service. Premiums for flood insurance are set by the US Government, so your rate is the same regardless of which insurer you choose. That is why it is so important to work with a company you can trust to deliver superior service and flood insurance claims support, if and when you need it. That company is Denis A. Miller Insurance Agency. Your home represents a considerable investment. Unfortunately, many homeowners don’t realize the importance of a flood insurance Lido Beach quote until it’s too late. 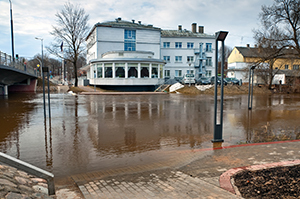 Only flood insurance protects your home and personal property from damage brought about by rising water or mudflow. Between Long Beach Barrier Island’s narrow profile and commercial developments reducing the land’s natural ability to absorb water, Lido Beach is especially vulnerable to flooding. In the event of a flood, you can be confident that claims are quickly paid allowing homeowners to rebuild and replace anything that has been lost. In fact, flood insurance pays covered claims, even if a federal disaster is not declared. So, you can have peace of mind that you are always covered. Whether your mortgage requires a flood insurance Lido Beach policy, or you recognize the importance of securing your home, Denis A. Miller Insurance Agency is here to assist you in selecting the right home insurance Lido Beach policy to protect your home or business. From Ocean Boulevard to Donna Lane, East Marina to Blackheath Road — regardless of whether you own a house, condo, commercial property or you rent, anyone in Lido Beach can purchase flood insurance — even if your property has flooded in the past. Experience the difference, and see for yourself why we are Long Island and New York State’s trusted choice for car insurance Lido Beach quotes. We look forward to meeting your needs and exceeding your expectations!